And by Modern Family, I mean a family that is comprised of individuals who all want to eat different things. A few months ago I accidentally made the choice to become a pescatarian. Don't ask me why, because I don't know. I really miss a good Reuben, I used to eat one hamburger a month (that time of the month, ya know) and my friend just told me the other day "OMG you have to try that original French Dip place downtown!" ARRRGGGG. I miss meat, but yet I still haven't gone for it since I made the switch. This is causing some major meltdowns (my own) at mealtimes with the family. Here's the break down of my family's current dietary makeup. Husband: Loves steak and pork, not into salads, eats one or two vegetables, not a pasta fan, not crazy about red sauce of any kind, will not eat tomatoes or cucumbers. Son: Wants pasta for breakfast, lunch and dinner. Won't touch steak or pork, only eats chicken and salmon, eats spinach and broccoli exclusively for vegetables. Me: Doesn't eat meat, and only eats shellfish or sushi (filets of fish scare me after a bout with salmonella two years ago), loves all vegetables, big fan of homemade salads, refuses to make pasta 5 nights a week for obvious reasons. Mushroom Risotto - Mushroom risotto is one of my favorite meals. If you have a picky eater you can leave out the mushrooms and peas as they get added in at the end. I add roasted chicken for the meat eaters (I either roast one at the beginning of the week or pick up an organic rotisserie for $10-$12). Serve with salad and garlic bread to make it extra yum. Tip: Trader Joe's sells frozen Mushroom Risotto, but note that you won't be able to modify it as it is pre-made. 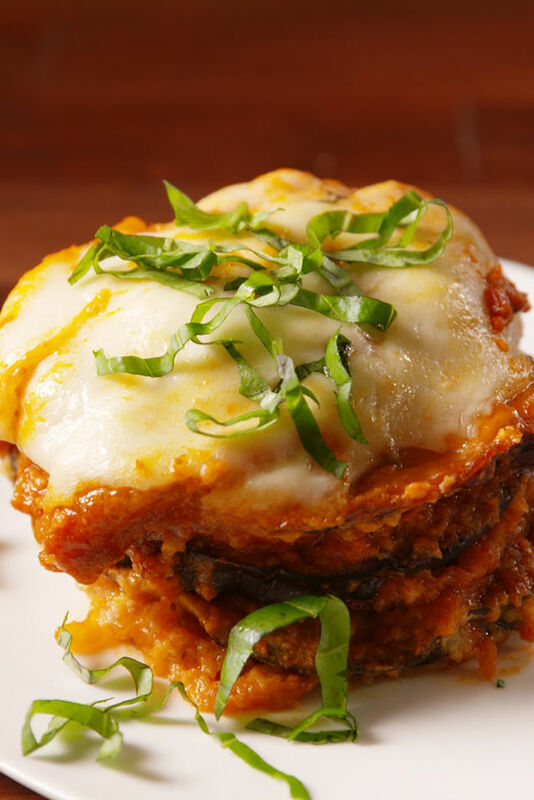 Eggplant Parmesan - This slow cooker recipe was admittedly a risk, but it ended up being a huge hit. It looked enough like lasagna to entice my son and my husband didn't complain about the tomato sauce. Remember that roasted chicken? Add that for the meat eaters and a salad on the side, and done! Tip: Slow cooker recipes can be lifesavers, but note the cooking time to plan when it needs to go in. Pesto and Spinach Flatbread - This recipe is a great alternative to pizza for dinner, but if you have picky kids you can easily throw in a crust with pizza sauce and cheese. The kids get homemade pizza (have them make it with you) and the adults don't have to eat Cheese Pizza for dinner. I add a salad on the side for this one too. Tip: Buy pre-made pesto if you need to cut prep-time. Grilled Cheese and Tomato Basil Soup - This is my favorite comfort food, other than the traditional Southern Sunday Meal. I like to make this on a lazy night where we can focus on hanging out rather than cooking and cleaning. 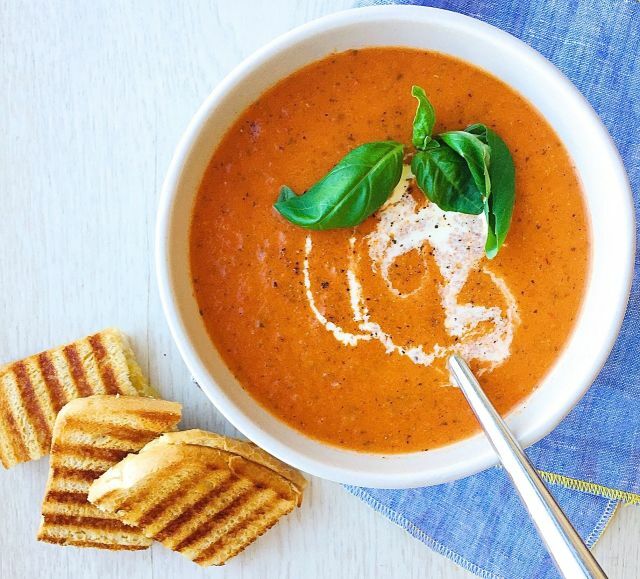 Tip: If you don't have time to make soup, most grocery stores sell pre-made Organic Tomato Soup that is ready to heat and serve. Falafel Pita - I loooove Falafel, and this recipe is so easy to modify for the whole family. Each person can build their own. I substitute the falafel with roasted or rotisserie chicken for my son and add hummus or tahini. I serve it with rice and a salad on the side. Tip: If you don't have time to make falafel from scratch Trader Joe's sells frozen falafel that is ready to heat and serve.